Retromotive is a premium coffee table style publication focused on classic cars, people and their stories. We have no allegiance to brand, badge or tribe. The magazine's clean, uncluttered layout strips everything back to reveal an intimate journey through beautiful imagery and engaging stories. You don’t have to be a car person to enjoy our features. Retromotive is designed to elicit the feeling and emotions a car can evoke in almost anyone. If you appreciate beautiful design, emotive imagery and have a genuine thirst to explore insightful stories, then Retromotive has something for you. Retromotive is proudly Australian and published quarterly on beautiful art stock paper. A excellent and well planned out magazine. Excellent quality photos and the stories captured the owners thoughts and feelings very well. Great value for money. 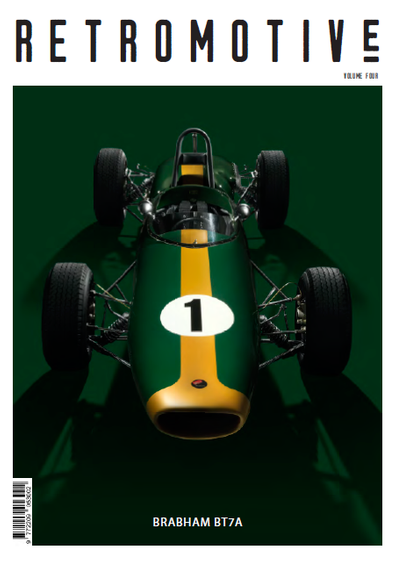 A visually stunning magazine that caters to both car enthusiasts and those not so knowledgeable on cars. The stories featured cater to all with car talk blending seamlessly with everyday human experiences that are easily relatable to. I found this magazine hard to put down and am eagerly awaiting the next issue.